General Formulations’ goal is to provide products and services that exceed the customers’ expectations. Our primary manufacturing, warehouse and converting areas have controlled climates, allowing us to provide products manufactured and stored in a regulated environment. General Formulations strives to reduce our carbon footprint by minimizing waste, reusing packaging materials and recycling scrap. We are committed to operational excellence, continuous improvement and expanding our capacities to ensure sustainable long-term growth. Founded in 1953, General Formulations is a family owned company located in Sparta, Michigan. 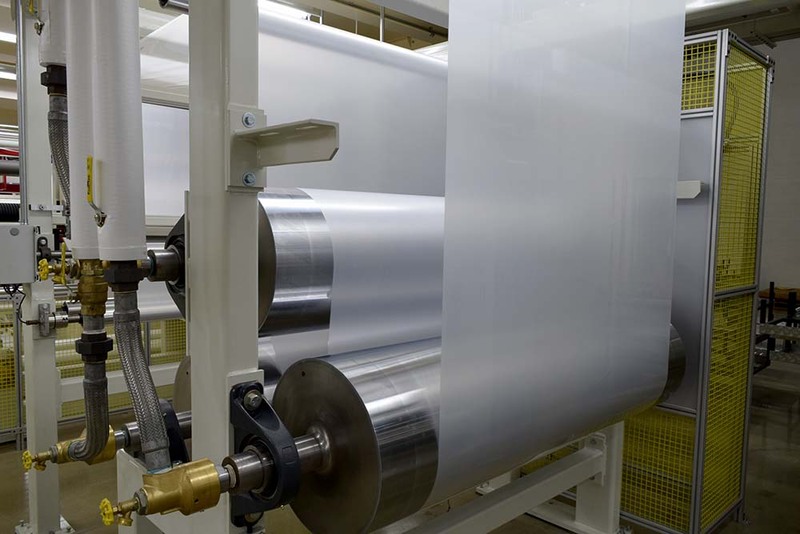 We have several solvent and water based coating lines as well as one of the largest converting operations in the industry, specializing in slitting, sheeting, punching and packaging. Our corporate headquarters has 400,000 square feet of manufacturing and converting space to service the ever growing needs of our customers. Partnering with you and your business is our focus. Through open dialogue and communication, we will work with you to find the right solutions.